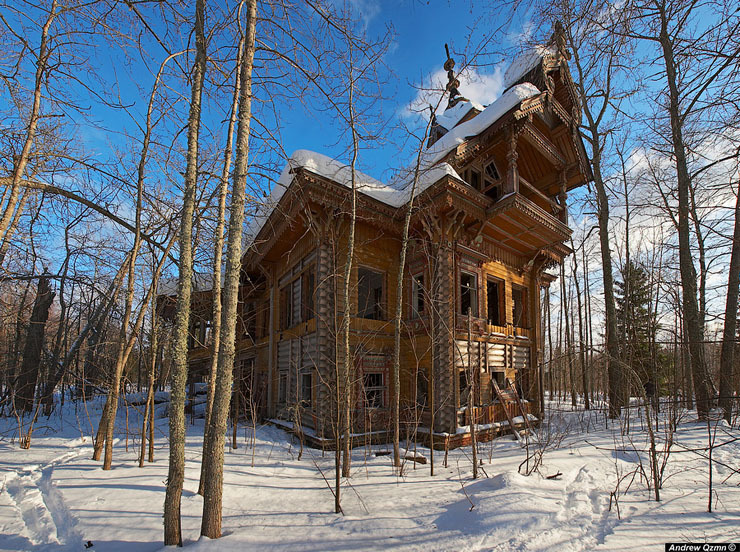 Russian forests hide wooden architecturals jewels, forgotten mansions left to the wind and the snow. 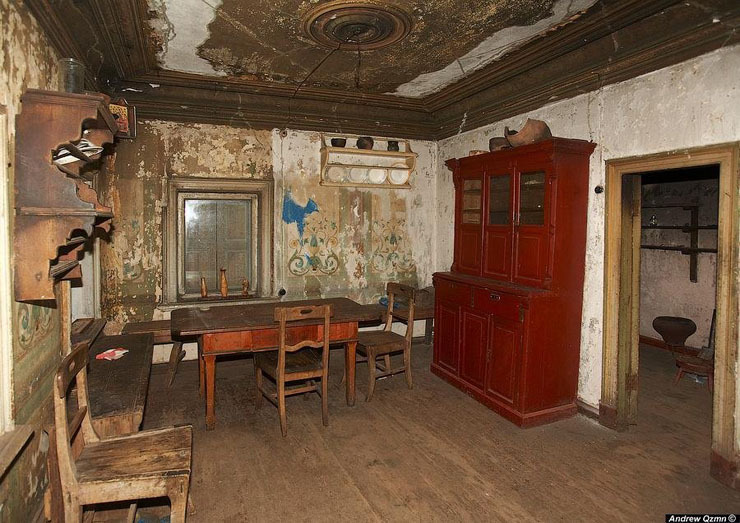 Many of them were built by the nobility and now abandoned for being in fairly inaccessible locations. 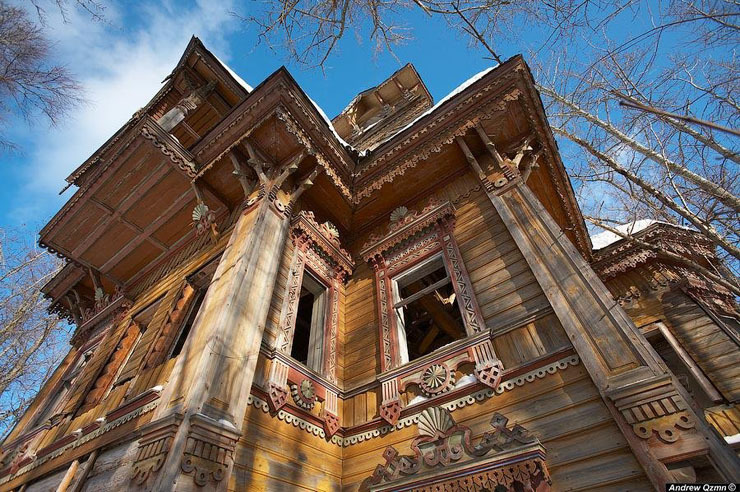 Chukhloma is a small town famous for its beautiful wooden architecture. 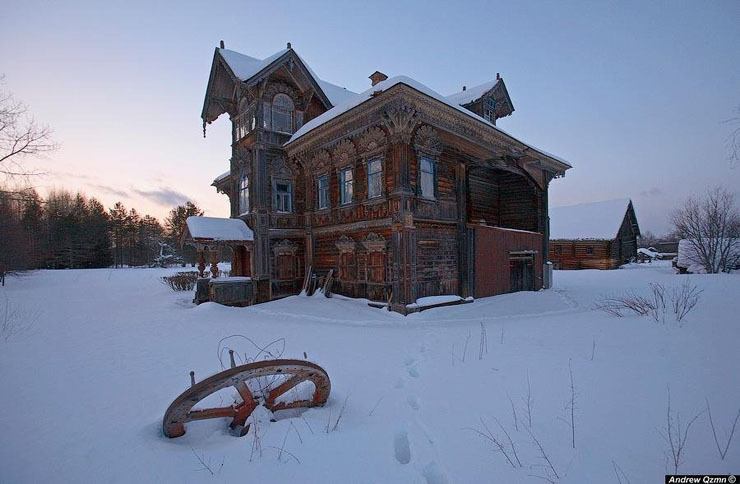 It is settled in the region of Kostromo, about 500 Km from Moscow. The main touristic spot of the town, apart from its houses, is the Avraamiev Gorodetsky monastery, built in the seventeenth century. 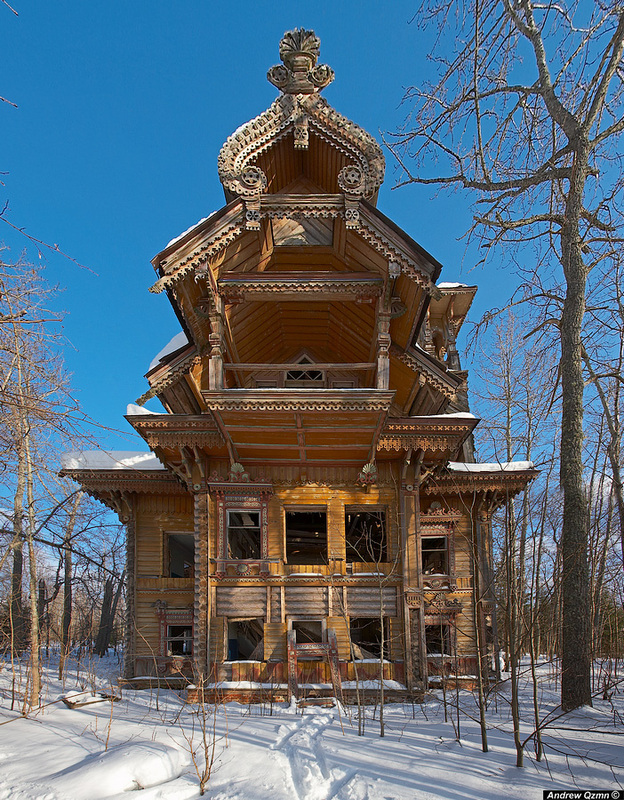 But I think the most interesting attraction to visit is not in the town itself: I refer to the wooden palaces that are lost in the middle of the forests not very far away from Chukhloma. Built during the nineteenth and early twentieth century, today even the locals doesn’t know much more about them. 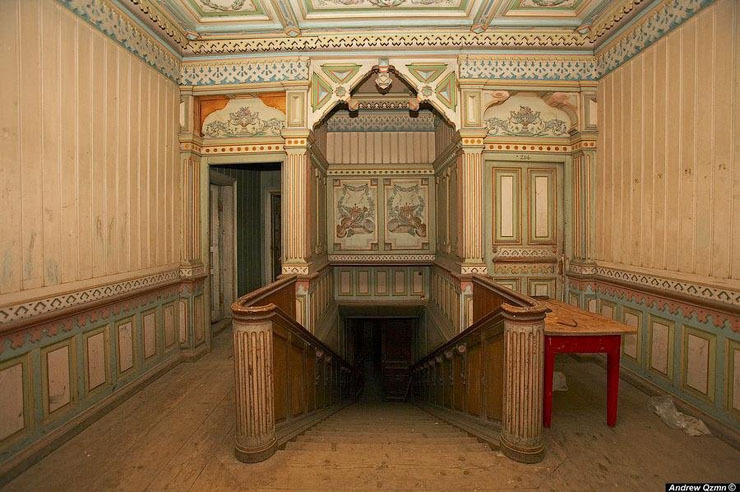 They were built on a revival style by the famous carpenters from Chukhloma, combining classic style, the old Russian architecture, Gothic and some oriental elements. In case you want to visit the palaces, I should like to point that the road finnishes 2 Km from the first palace. To reach them in winter is advisable to carry a pair of skis. There are no roads nor people. Only the solitary wooden villas. I would want to buy one and use a snowmobile, and work on getting a road built. are these mansions for sale? can anyone buy or demolish them again? I don’t really know. They are very beautiful, so I expect they could stand as they are.